Hey, Liquid Trucking drivers! It’s an important time of the year. As you are aware, Liquid Trucking provides all of our drivers with Liquid Trucking Rewards. This rewards program is free for all to participate in and gives our drivers a variety of opportunities to earn points that can be redeemed for thousands of name brand electronics, vacations, sporting goods, and more. So why is July an important time of the year for Liquid Trucking Rewards? Because from July 3 through August 28, 2017, you will have the opportunity to fill out our annual driver survey and earn even more points. Because our drivers are our most important asset, this survey is extremely important to us! We appreciate your honesty and taking the time to fill out the survey completely. The best news of all? You get rewarded for completing the survey (3000 points automatically), and the sooner you complete it, the more points you could win! Each Monday we will hold a contest for those who have already completed the survey. The first drawing is July 10 and there are 40,000 (!) points up for grabs. We truly appreciate you taking the time to let us know what we’re doing well and what we can improve on. 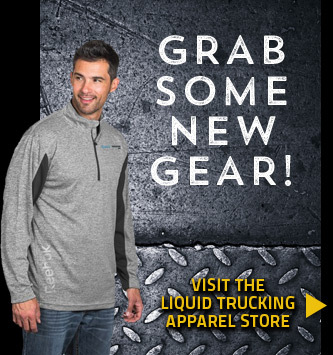 To see more information about Liquid Trucking Rewards and our annual driver survey, click here. To take your annual survey, log in to www.liquidtruckingrewards.com. Thank you!